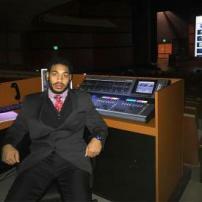 Thomas Butler-Guerrero Jr. is a 20 year old student at the University of Dubuque. He previously attended Ancilla College in Plymouth, Indiana for 1 year and graduated from Illinois Media School in Chicago, Illinois in 2016. He hosted his own show "Showtime" and also co-hosts on the "DStonePonyShow" on Saturday afternoons from 4-5 on Chicagolandsportsradio. A specialist in the United States Army, not to mention a collegiate outfielder for UD, Thomas plans on attending graduate school. Choosing between his baseball and military career once receiving his bachelors in Commincations.